LONDON — The players finished their soccer matches and huddled waiting to discover who would have to undergo doping tests. The random draw completed, two men went off to provide urine samples. They just had to put their controllers down first. 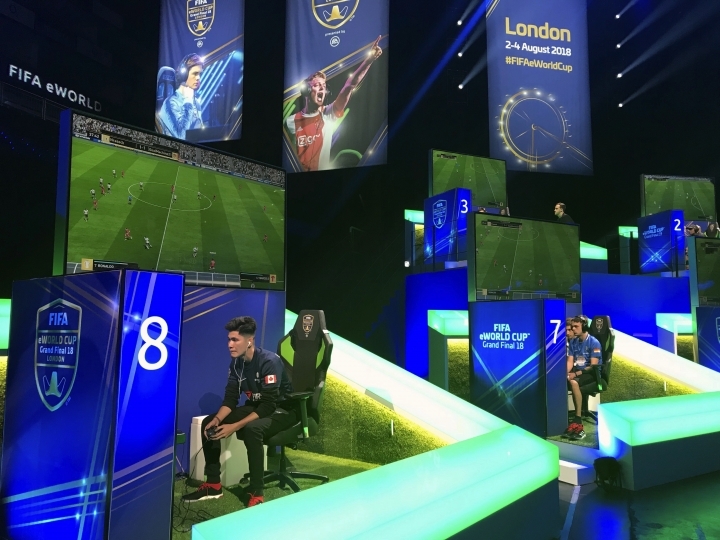 Less than three weeks after the World Cup finished, the finals of the video gaming version are being staged by FIFA in London with competitors being tested for performance-enhancing substances for the first time, just like players on the field in Russia. "It's great as you think you are a superstar," Saudi Arabian player Mosaad Aldossary, who competes as "Msdossary," said after being tested. "They usually do it for Cristiano Ronaldo and every top player. So you think you are one of them." Just like Ronaldo, there is no circumventing having to urinate in front of the tester to provide the sample — however long it takes. 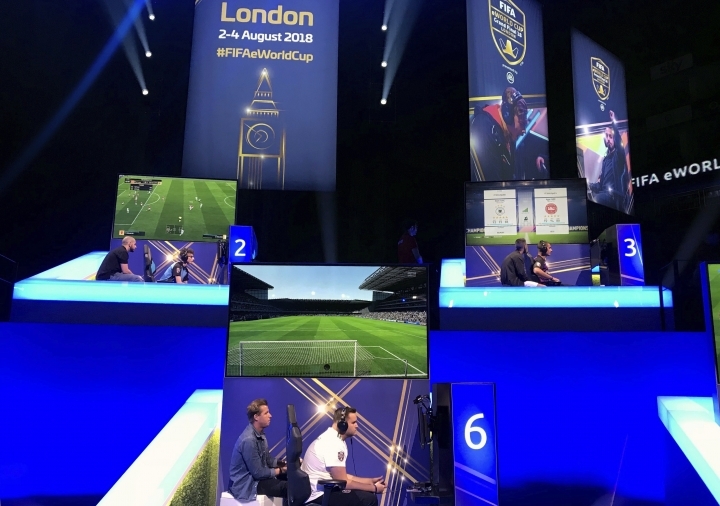 "It felt awkward that someone is directly looking at you," Michael Bittner said at the O2 Arena after becoming the first player to be drug-tested after soccer's console offshoot. The German, who competes as "MegaBit," understands why the inconvenience is necessary to ensure people can trust a game still justifying its right to be classified as a sport. "With the Tour de France, there was such a huge scandal and even after 10 years there is still a (view) like, 'Oh they all do doping,'" Bittner said. "This understanding for the people doesn't go out." FIFA has been slow to enforce integrity measures to safeguard its 14-year-old esports competition, which is run in conjunction with EA Sports. The governing body last year was untroubled by the prospect of players cheating on the computer controllers. But now with the champion on Saturday earning $250,000 — up from $26,000 two years ago — FIFA is finally making its players sign up to the code of ethics, which includes sanctions for match-fixing and doping. "In the FIFA scene, there are so many haters who just can't believe there are people playing better FIFA," Bittner said. "But you sometimes may have to prove to them it's all clean and you're just better on them." Adam Barton, a Welsh player known as "dreamR," said he previously heard "suspicions" rivals have been taking substances. "It's certainly possible it has happened in the past and hopefully they can stamp it out and make it a fair competition for everybody," Barton said. "There's drugs that improve concentration which is really important." Particularly Adderall, a stimulant prescribed to treat ADHD (attention deficit hyperactivity disorder) that could help maintain focus on the screen for hours playing on the Xbox or PlayStation. A medical exemption certificate would be required by FIFA to keep using such medication. "If you don't have ADHD and you use it," said American player Alexander Betancourt, "it's very easy to get an advantage." Concerns about brain doping ensure FIFA is checking for the use of stimulants like methamphetamines, rather than growth hormones or EPO that would boost endurance in the traditional versions of soccer. It was a learning experience for FIFA anti-doping officer Jens Kleinfeld, whose recent focus was the World Cup in Russia. "I'm not normally the generation who is following esports," Kleinfeld said. "When they asked me, I was like 'Really?' But when you see how big the sport really is and how professional now the players are, there is no question we have to do doping tests." For now the only testing is at the grand final, the three-day event that concludes Saturday. The 32 finalists were whittled down through qualifying rounds that started with 20 million entrants in the EA-organized competitions, mainly playing at home rather than organized events. And unlike in regular sports governed by the World Anti-Doping Agency, there is no out-of-competition testing. "That's something they should also do," said the 19-year-old Bittner, who qualified for the final as the top-ranked player on Xbox at the playoffs in Amsterdam. "In the online qualification for the huge events, maybe there are some doping but you never know because the event is a few months afterwards and then they are all clean."